The "New Look" Lady Mountaineer Softball team brought home a W Tuesday night with a win over Miles. The Mountaineers scored, and scored often in the 12-2 victory. Sophomore Genia Jones, continued to look great on the mound striking out 14 and accounting for 3 of the 18 Mountaineer hits. Kourtney Guerrero and Freshman Taylor Hogue each contributed 3 RBI's to help secure the victory. The Lady Mountaineers start a 4 game home stand beginning Thursday, and continue into Friday, next Monday, and next Wednesday. All games begin at 5pm here in Santa Anna. 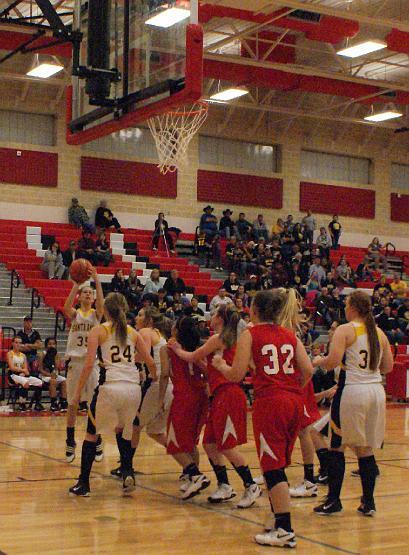 From Coach Garcia: I was very impressed with the way our girls bounced back from the Menard game. All the girls seemed very focused and ready to play. 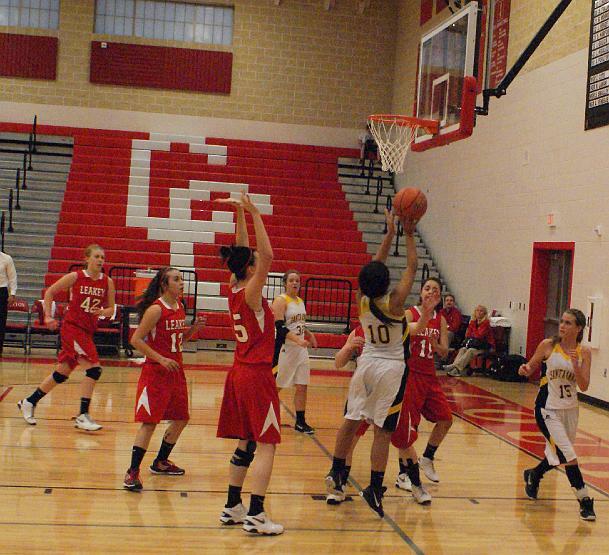 Our hitting improved greatly, and as did our defense. I was very proud of the effort. We will be starting quite a long home stand the next few days which will take us to the end of the first half of district. I am very excited to face Eldarado. I hear they are a great team, but I believe we are a great team as well. Should be a great game. The Santa Anna Cemetery Association is having a workday on Saturday March 31st starting at 8:00 AM. You may come and work with others or on your own and for as long as you want. Most of the work will be tree trimming so bring your hand saws, rakes, hoes, shovels, weedeaters, and chain saws. If you have a pickup or trailer for hauling brush to the back of the cemetery it would be helpful. Bottled water will be available and sandwiches will be served for lunch. If you have something that you would like to see done and aren't able, or would like more information please call James Pelton at 325-348-3458. 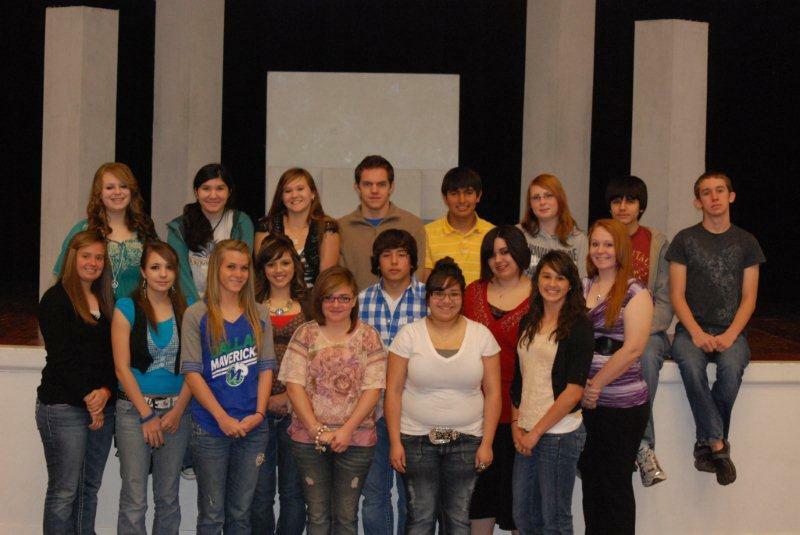 Santa Anna High School traveled to Trent to compete academically against 13 other schools on Wednesday March 21st. They returned with a third place finish overall and with 13 of their 20 students advancing to Regional competition. Regional Competition will be held Saturday April 21, 2012 in Abilene on the campus of Abilene Christian University. 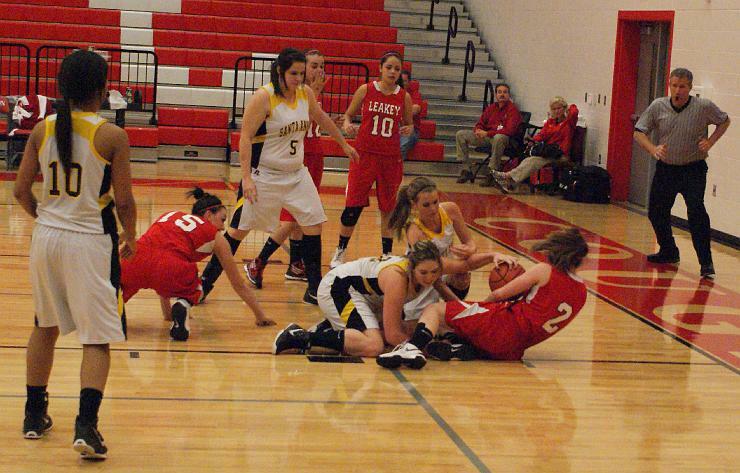 The Lady Mountaineer Softball team will finally be back in action after taking a brief break due to the welcome rain. The Mountaineers travel to Menard on Saturday for an 11am start time. Genia Jones will be taking the mound, and Kindsey Holland will be behind the plate. Before the Moutaineers can start their 4 game home stand next week, they have to travel to Miles on Tuesday for a night game begining at 6pm. 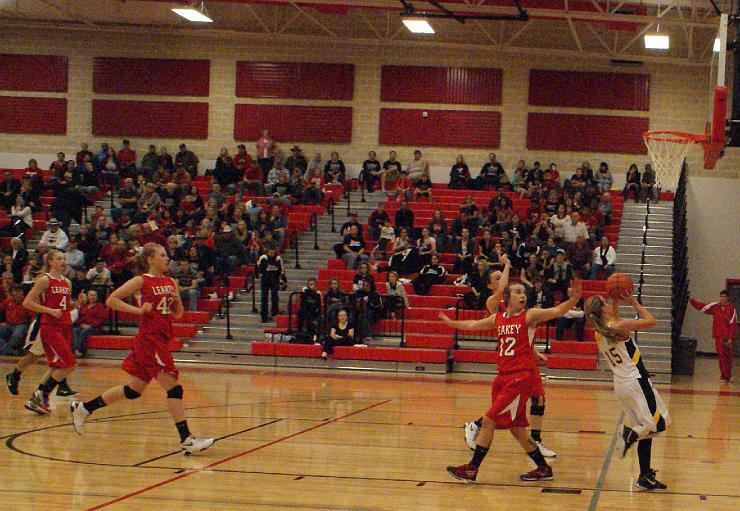 From Coach Garcia: I am excited to get the girls back in the game. It has been a very difficult couple of weeks due to weather and other activities going on at the school, but these girls are dedicated and have managed to practice and practice hard. I am especially excited about next week for two reasons. 1. Kindsey Holland and Taylor Hogue will see the mound probably against Winters to give a much needed rest to Genia. 2. After next week, the first round of district is over, and we will have a good idea of how we stand in the district. If we play OUR game, I have no doubt we will be on top. Santa Anna ISD has been notified of receiving a grant in the amount of $3500 from the The Harriett Gully Beadel Foundation (“Foundation”) INC. This grant is to be used in the Santa Anna ISD Nurse’s fund for 2012 for school nurse office supplies, educational materials, first aid kits, new stethoscopes and sphygmomanometers, snacks, puberty supplies, emergency supply clothing for little ones, and eyeglasses if needed. Under the laws of the United States applicable to the Foundation, all grant funds must be expended for charitable, scientific, literary or educational purposes. Once again thank the Lord for the wonderful rain! Tex Wright reports 1.1 inches of rain and I had about an inch in my gauges. KERRVILLE (March 13) – State Representative Harvey Hilderbran announced today that he has filed for re-election to Texas House District 53. He has been an effective leader for his district, supporting conservative measures that are important to families and businesses in the Hill Country. In 2011, Hilderbran was appointed chairman of the House Ways and Means Committee. As chairman, Hilderbran has worked diligently to protect taxpayers and keep taxes low. He has also been a visible leader in efforts to protect the private property rights of Texans. Hilderbran has been widely recognized for his leadership, recently receiving the “Guardian Award” from NFIB/Texas for his support of small businesses, the “Distinguished Service Award” from the Association of Counties, and the “Distinguished Legislator Award” from the Texas Recreation and Parks Society. He has also been named “Legislator of the Year” by the Texas Municipal League, a “Fighter for Free Enterprise” by the Texas Association of Business, a member of the “Legislative Hall of Fame” by the Texas Association of REALTORS, “Legislator of the Year” by the Vietnam Veterans of America-Texas State Council, “Representative of the Year” by the Texas Deer Association, and “Legislator of the Year” from the Texas Young Republicans. District 53 includes Bandera, Crockett, Edwards, Kerr, Kimble, Llano, Mason, Medina, Menard, Real, Schleicher, and Sutton counties. Hilderbran was first elected to the Texas House of Representatives in 1988. In 2003, he created the Hilderbran Scholars Fund, which awards scholarships to deserving students throughout District 53. He was born in Uvalde and is a 1983 graduate of Texas Tech University. He lives with his wife, Tracy, and their two daughters in Kerrville. 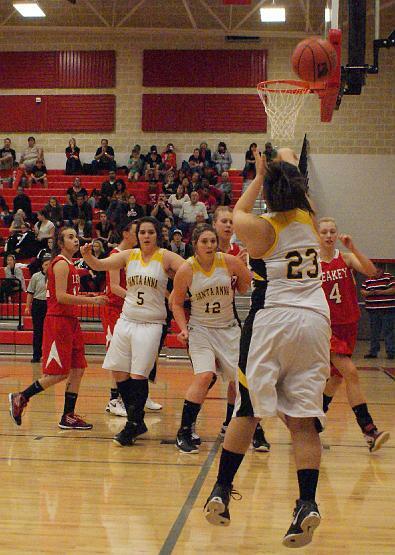 The Lady Mountaineer Softball team traveled to San Angelo to start district play. The Lady Mountaineers brought home a 10-0 victory over TLCA. Genia Jones was awarded a W with her performance on the mound. The Mountaineers only allowed one error on the shut out victory. Next up for the Mountaineers is a home game against district favorite Eldorado. The game is scheduled for Monday, March 19th at 5pm in Santa Anna. 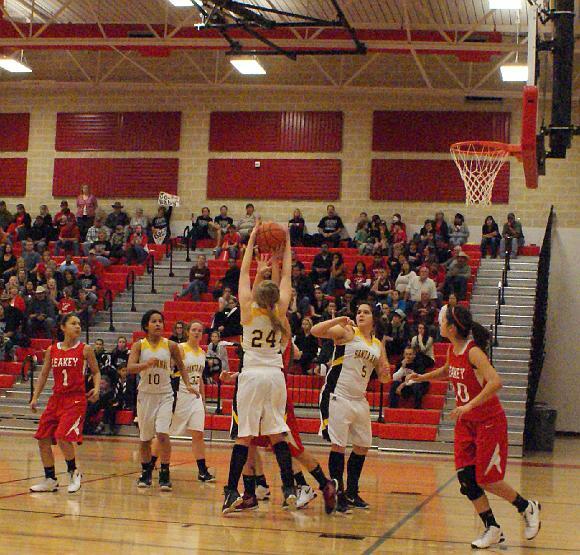 From Coach Garcia: The girls played very well. They adjusted to the pitching of TLCA and we managed to hit the ball in all the open spots. Girls were sacrificing hits for RBI's and were moving around the bases well. There are still a few things we can and will continue to improve on. Our next oppentent is believed to come out in 1st place in our district, but the girls might have something to say about that. I was very pleased and proud of the Mountaineers today. Thank the Lord for the wonderful rain! Tex Wright reports 2.85 inches of rain over two days and I had over three inches in my gauges over several days. 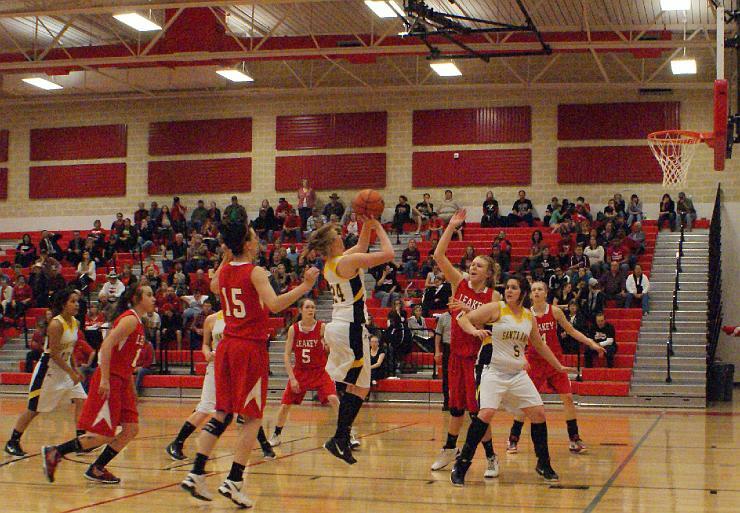 The Lady Mountaineers lose their final game before district starts. 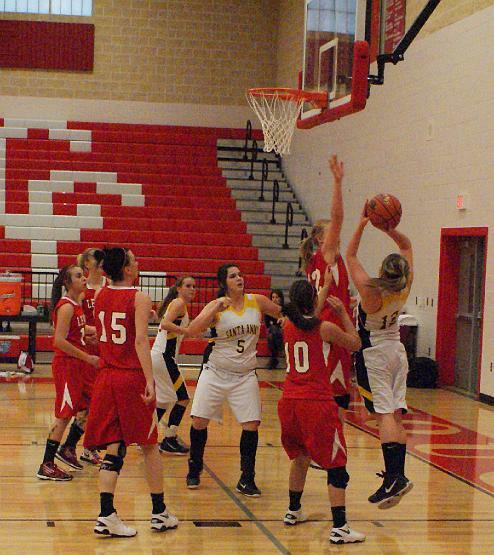 The Lady Mountaineers lost to Goldthwaite 16-6. Holland, Lishka, Jones, and Newtown accounted for the Mountaineer runs. The game was a lot closer than the score. Friday's game is scheduled to begin at 5pm against TLCA. From Coach Garcia: I was not too worried about the score. I wanted to put girls in different positions, and have them play out different situations. It was a good learning experience. Coach Shaw from Goldthwaite had nothing but good things to say about our team, and wants to start a friendly softball rivavly between Goldthwatie and Santa Anna. I glady accepted. We will also be part of their Winter Classic Softball Tournament next year. We will be hard at work the next few days to lead up to TLCA on Friday and Miles on Saturday. The Santa Anna High School Tennis Team participated in a tournament at Cornerstone Christian School in San Angelo March 2nd. Kindsey Holland took second place in girls singles while Makayla Morris and Dakota Enriques took first place in mixed doubles with Carlee Coats and Justin McElrath in third place mixed doubles. Others participating were Zach Diaz, Nate Salazar, Jed Herrod, and Slater Isbell. 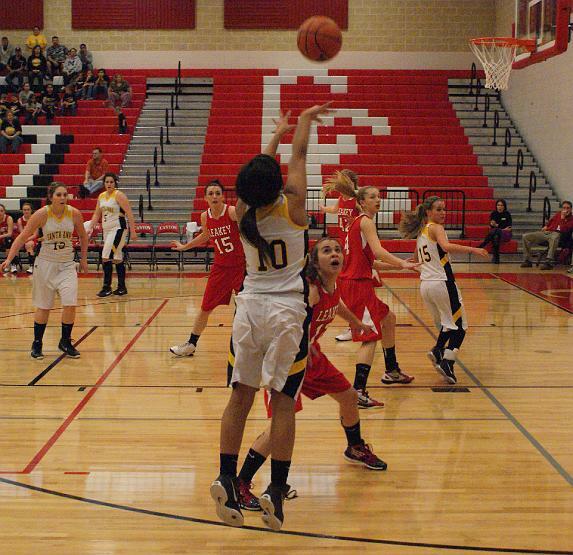 Lady Mountaineers open the season with a win. The Lady Mountaineer Softball team traveled to Gorman this past Friday and brought home the first win of the season with a score of 4-2. Genia Jones lead the way with 14Ks and 2 hits. 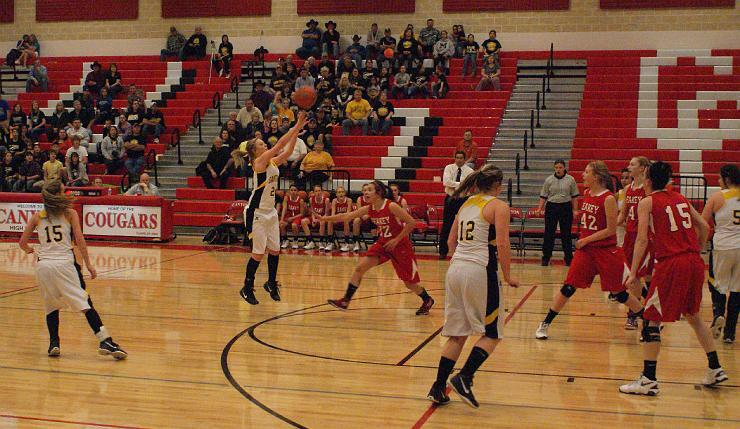 Aspyn King and Taylor Hogue also contributed to the scoring. Despite having an 8 error 5th inning, the girls managed to pick their heads up and get through the inning only giving up 2 runs. Destiny Clements scored the final run on a RBI flyout by Kourtney Guerrero. 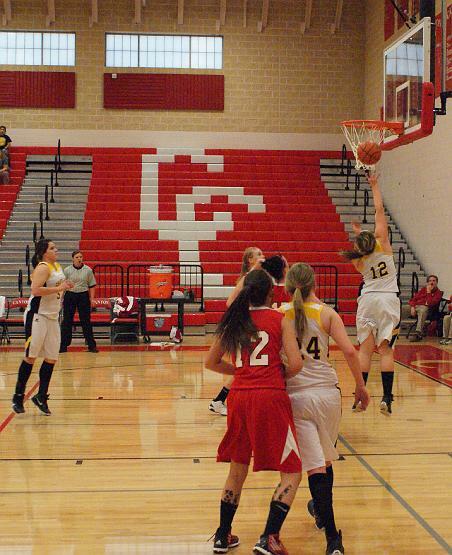 The girls travel to state ranked Goldthwaite for a 5pm start on Monday. The girls will then return home Friday and Saturday to kick off district. The Monday and Friday games are scheduled for 5pm, and the Saturday game is scheduled for 2pm. From Coach Garcia: Its good to get the first one out of the way. We did some good things during the game and there are plenty of things we will continue to work on when we hit the practice field back on Tuesday. I was very pleased with the game with the exception of the 8 error inning in the 5th, but we have only had one complete practice with everyone there. Our girls just finished basketball and they are making the transition into softball, but I have no doubt in my mind we will continue to stride forward and come together. We will be tested on Monday, but I believe in our girls, and they will fight until the last out. Santa Anna hosted a Jr High track meet on Feb. 28, 2012 and a High School track meet on March 1, 2012. 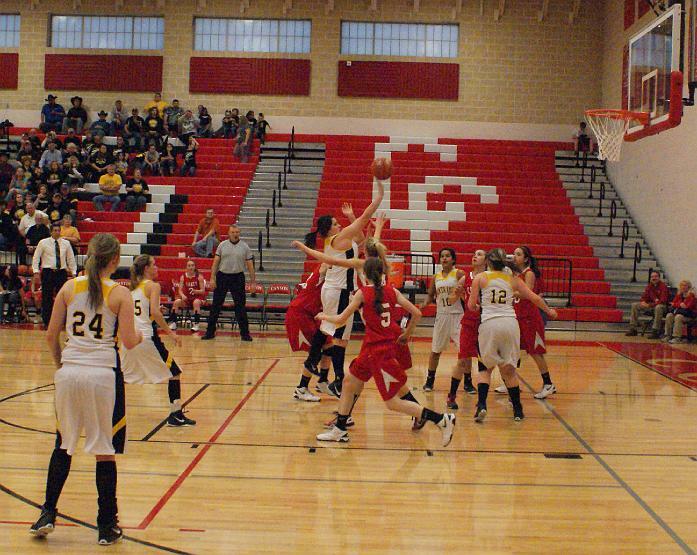 Lady Mountaineers vs. Leakey Regional Semi-Final at the Class 1A Division 2 Region IV tournament in New Braunfels Canyon High School Cougar Gym. Santa Anna Mountaineer Softball kicks off this Friday in Gorman at 5pm. The Mountaineers are returning 8 out of 9 starters including All District Pitcher Genia Jones and Catcher Kindsey Holland. Sr. Aspyn King is making the move from 3rd to 1st Base with Courtlyn Lishka returning to 2nd, and Caitlyn Murray to SS. New comer Taylor Hogue rounds up the infield playing 3rd Base. Christina Diaz, Kourtney Guerrero, and Shelbie Newton will be playing the outfield. New comers Jordan Deleon, Destiny Clements, Jenny Castruita, and Kesly Manly will also see plenty of playing time this season. The Mountaineers will travel to Goldthwaite on Tuesday and will return home to start district play against TLCA Friday, March 9th at 5pm. The Mountaineers missed last year's playoffs by one game and are predicted to finish 2nd this year behind Sr. Heavy Eldorado. Santa Anna Mountaineer Softball has started. The girls are selling Softball T-Shirts for $15. If you are interested in ordering a softball t-shirt, please contact one of the softball girls, or Coach Garcia. For more information on this year's team, please go to www.maxpreps.com and search for Santa Anna. Santa Anna is one of 42 communities featured in the 2012 Texas Midwest Guide. The 17th edition of the annual publication is now in circulation and showcases quality of life and points of interest in the region. Participation in the regional marketing guide is sponsored by the Santa Anna Economic Development Corporation. The Texas Midwest Guide includes community information, attractions, recreation, lodging, regional calendar of events, unique shopping and dining opportunities and much more information about the Texas Midwest region. 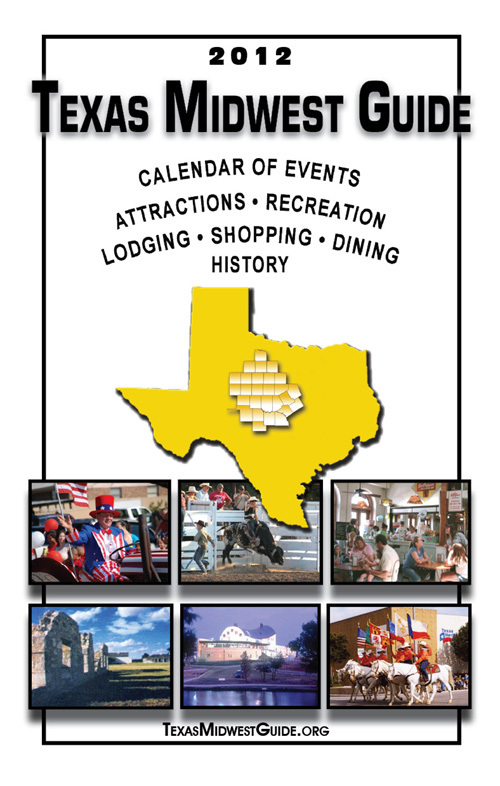 Distribution of 70,000 copies goes to Texas Travel Information Centers along the State’s borders, chambers of commerce, CVBs, hotels & motels and advertisers throughout the region. An online turn-the-page version of the guide is at texasmidwestguide.org. All websites on community pages and ad spaces have hot links from the online version. The Lady Mountaineer Softball team welcomes the Mountaineer Super Store, GOLD RUSH. You can purchase anything and everything Mountaineer. Items include: hats, caps, shirts, shorts, wind suits, hoodies, and more. Show off your school and community spirit with GOLD RUSH. Find us on the web @ gtmteamstore.com/samathletics. Editor's Note: The site was very slow to load for me but worth the wait... for some really nice Mountaineer Gear!